“My commitment is ensuring that justice prevails for the most vulnerable and to ensure that all of them know their rights”. 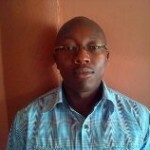 A provincial ITC and Human Rights Officer in Nairobi (Kenya), 2012 JusticeMakers Fellow Dennis Kipruto Mungo has been involved in capacity building of prison officers and other members of the legal community on human rights relating to HIV/AIDS for inmates for a long time. After being exposed to the poor conditions of children living in Kenyan prisons while working in those prisons, Mr. Mungo decided to change the inhumane situation of incarcerated children who live with HIV/AIDS. They are being raised by incarcerated mothers in prison facilities that are rarely targeted in HIV/AIDS prevention and treatment efforts, even though they are the most vulnerable. Currently there are no programs that ensure that HIV/AIDS infected imprisoned mothers and children are given access to the care that ensures they live in a healthy and dignified environment. According to Mr. Mungo, one of the major reasons is that the staff in the various departments who handle this vulnerable sector of the prison population, starting from the police to the prison officers and the judiciary have not been properly trained and sensitized to the needs of HIV/AIDS infected prisoners and their children. Taking this into account, his project focused on alleviating this problem by launching a common training program between Prison Warders and personnel in the judiciary and police departments at the Langata Women’s Prison. The training provided strategic information that will educate the respective staff as duty-bearers to fulfil their obligations with regards to human rights and proper care of children and women prisoners living with HIV/AIDS. With this, the project seeks to ensure that prisoners are not segregated and their living quarters are sanitary and have adequate clothes and bedding. Results: Mr. Mungo organized trainings for 20 prison officers in order to increase their awareness about the fundamental rights of prisoners and accused persons. Other training sessions were organized for prisoners in order to provide them with useful skills which they could use in judicial proceedings. For instance, they received training sessions on self-representation and on how to write convincing appeals. In addition to this, women were also involved in a program which was aimed to teach them basic farming skills. In this way, they were able to provide for their nutritional support and generate some income upon release which facilitated their reintegration into society. Another important success was represented by the preparation of several working groups with different organizations. The aim was to enable them to share the experience they have gained working with prisoners and to facilitate the creation of new collaborative relations. Mr Mungo has found, in the implementation of his Project, the precious collaboration of important NGOs and institutions such as International Justice Mission (IJM); RODI Kenya and International Medical Corps (IMC). The hard work of Mr Mungo was noticed by the Kenya Prisons Department who asked him to start a collaboration that will enable Mr Mungo and his team to replicate the Project in a larger geographic area.